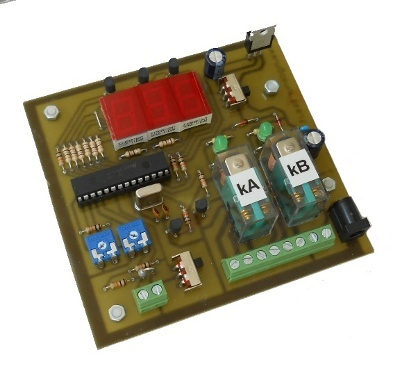 When the wind speed exceed the set value, the two relay outputs will open the contacts. 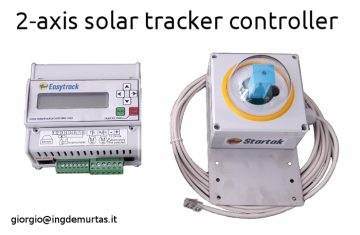 This can be used to move a solar tracker to a safe position. Use the “m/s wind speed threshold” trimmer. Turn clockwise to increase. The system goes into wind alarm when the wind speed exceeds the set threshold for at least 5 seconds. The system exits the wind alarm condition if the wind speed remains 2 m / s below the threshold for at least the time set in the trimmer “Minimum alarm time “. Turn clockwise to increase. 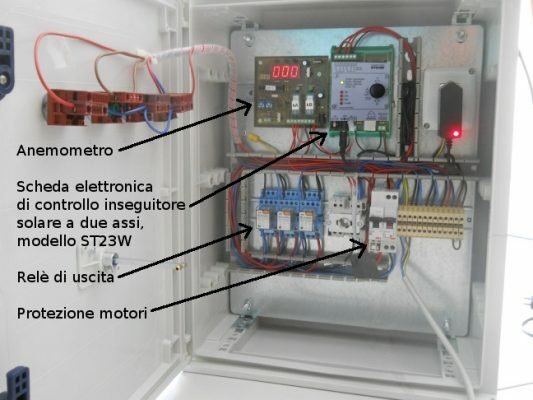 If the wind alarm has intervened and for some reason you do not want to wait for the time “Minimum alarm time”, switch the board off and on again by disconnecting the power supply. 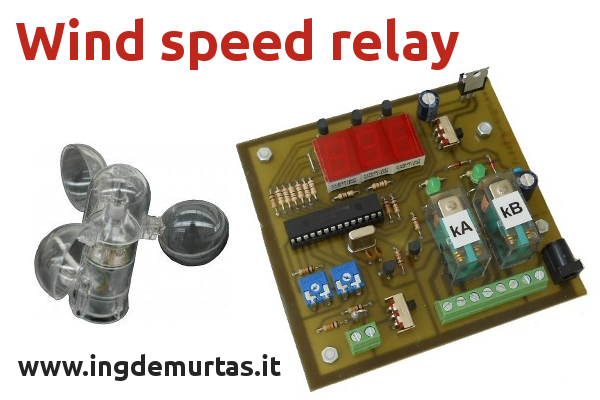 wind measured, the relay kA switches without delay while the relay kB switches with 3 seconds of delay with respect to kA. 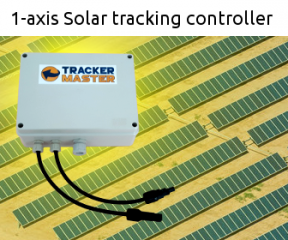 Anemometer installed in a solar tracker control cabinet.